This is the goal of just about every student studying the martial arts. The Black Belt, however, is not the end of a student’s quest but the beginning of a new journey into the second major stage of learning. In the Student Handbook, we examined the ten colored-belt levels (gups) of the Tae Kwon Do ranking system; in th Black Belt Handbook, we will take a closer look at the ten Black Belt levels. 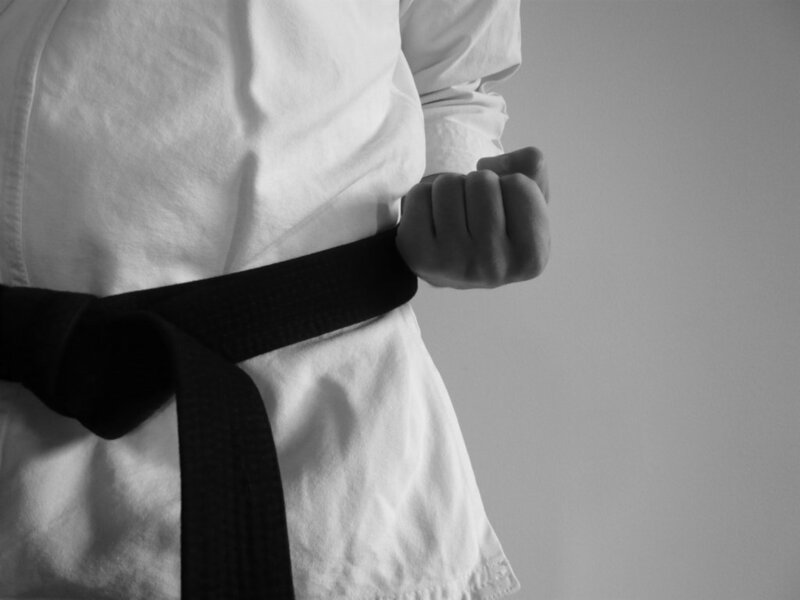 There are two types of Black Belts– dans are issued to adults and pum/poom (Junior rank) are issued to students under 16 years of age. The main distinction between Adult and Junior Black Belts is that Junior Black Belts are generally not allowed to be instructors until they are adults– even if they have a higher rank than the adult. The following time-in-grade before promotion references are based on traditional requirements, some organizations may have shorter or longer periods. First Degree (Cho or Il Dan)- this rank generally takes three-four years of study and is awarded to those students demonstrating a proficiency in the art. A Cho Dan is a senior student (Sun Ba Nim) and may be designated as an assistant instructor under a full instructor- equivalent to a high school degree in the art. Required two years of continued training after receiving the Cho Dan. I Dan may be designated as an instructor (Kyo Sa Nim) under a full instructorequivalent to an associate’s degree in the art. Requires three more years of continued study after I Dan. A Sam Dan is a full instructor able to promote a student to Cho Dan- equivalent to a bachelor’s degree in the art. Requires four years of continued training after Sam Dan. Some organizations recognize this rank as a Master (Sa Bum Nim). Requires five additional years of study after Sa Dan. Oh Dan is considered a Master as s/he can promote a student to Sam Dan- equivalent to a master’s degree in the art. Six more years of training after Oh Dan. Skills testing is generally not required from this level on. Seven years of continued service to the art after Yook Dan. May be addressed as Grandmaster (Kwan Jang Nim) if s/he has promoted a student to Master level- Grandmaster is equivalent to a doctorate degree in the art. Eight years of continued study after Ch’il Dan. A P’al Dan is addressed as Grandmaster. 9 years of training after P’al Dan. Flat No.1004,Guru Samruddhi Heights, Sector 14,Sanpada Navi Mumbai- 400 705, Maharashtra, India.